Read, read, read! That was the message to students, parents and community partners at The Council for Economic Opportunities’ Villa Head Start Center on Thursday morning. Everyone gathered to see the dedication of a Little Free Library – a wooden box set up in a community where you can borrow a book and leave one of your own for others to use. Dr. Jacklyn Chisholm, president and CEO of The Council for Economic Opportunities, joined Dr. Thea Wilson, vice president of children and families, to welcome everyone to the center. Dr. Chisholm spoke about her personal experiences with reading and explained how libraries helped her through some of the toughest times in her life. Dr. Wilson told the crowd it is never to early to read to your child! She also suggested parents constantly speak to their children, explaining textures, sights and sounds using as many descriptive words as possible. 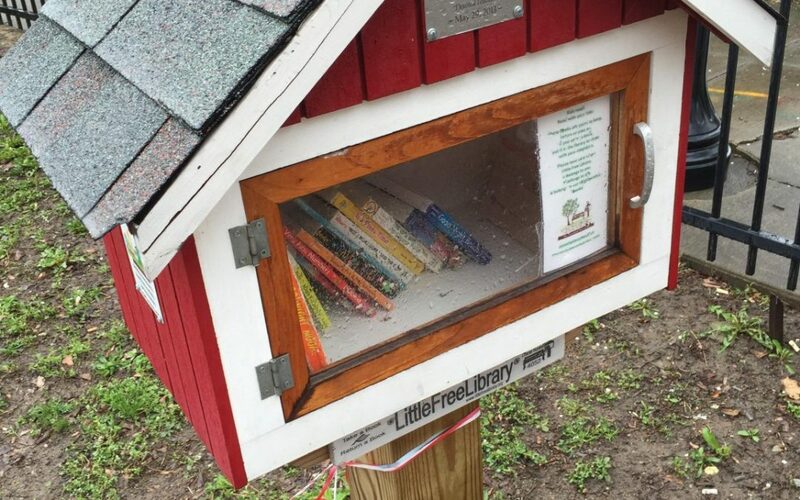 While there are more than 50,000 Little Free Libraries set up across the world, Slavic Village received the honor of being named the nation’s first “Little Free Library Neighborhood.” Slavic Village earned that distinction because it has specific community literacy events planned throughout the year. The Council welcomed partners WKYC, Third Federal Foundation, MyCOM/P-16 and Slavic Village Development in congratulating the neighborhood for its commitment to literacy and the area’s young people. In his remarks, Kurt Karakul, executive director of Third Federal Foundation, specifically recognized Dr. Chisholm’s vision and continued commitment to creating accessible Pre-K programs. He went on to say the Council’s Villa Head Start center has had a wonderful effect on the neighborhood. In addition to dedicating the Little Free Library, Head Start students participated in reading and literacy events all morning. They also had guest readers from the community visit their classrooms. The Council is proud to be part of such an important and inspiring project! Check out additional coverage of the event from WKYC here and here.